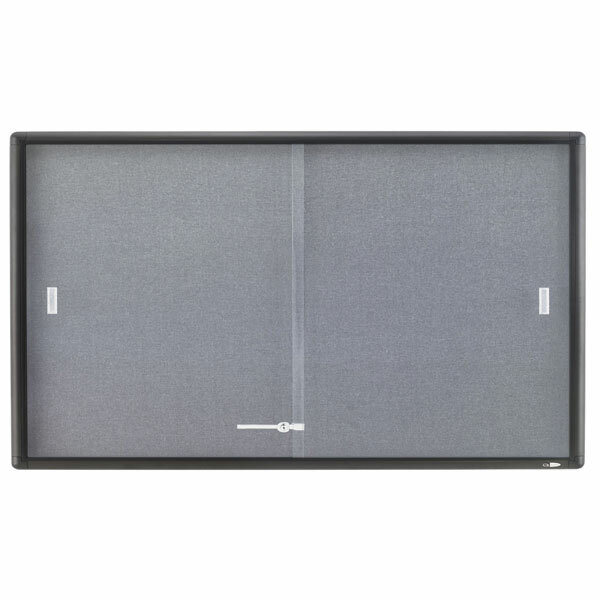 With the Quartet Penrite Glass Enclosed Fabric Bulletin Board all your important messages remain easily visible and protected behind the lockable sliding glass doors. � Grey self healing fabric surface holds documents securely in place. 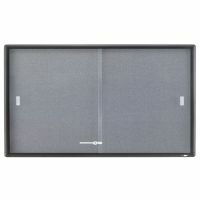 � 2 tempered glass sliding doors. � Showcase lock protects postings. � Cabinet has rounded corners contemporary graphite finish. � Includes wall mounting kit and key for showcase lock.